Handling Tips: 45° F. COOL, DRY, DARK. 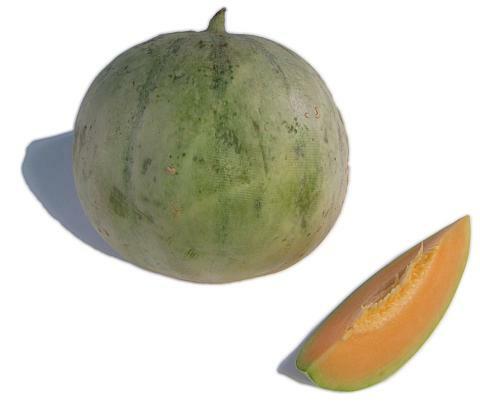 General Information: Charentais is a bright orange fleshed melon with sugary flavor, and fragrant flesh. It is popular both as a dessert and breakfast melon. It has a smooth skin and is deeply ribbed. It is a good keeper if kept in a dry dark place. Charentais Melons are good sources for vitamin C and some vitamin A. Melon is low in calories and high in water and fiber. Melon is versatile, good for salads, dessert presentations, sorbets, beverages, and side dishes.